Blasts from seismic air guns used to search for oil and gas beneath the ocean floor increase the death rate in scallops and change their behavior, according to a study published Monday. 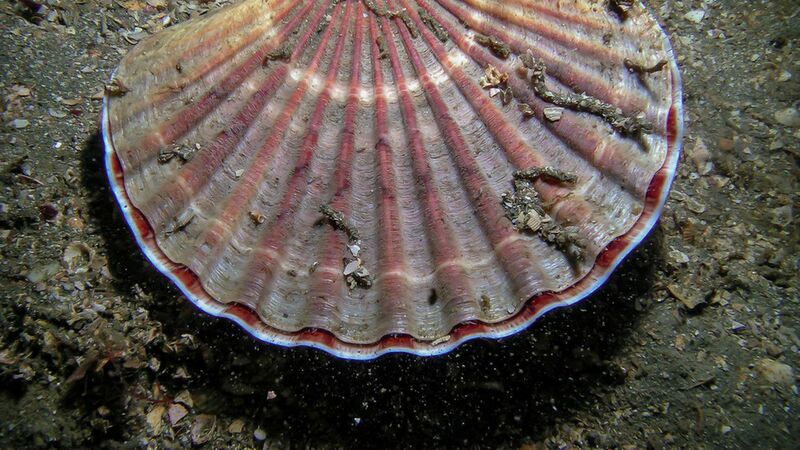 The U.S. Atlantic scallop fishery raked in $546 million dollars in 2012, making it one of the most lucrative in the country. Why it matters: The Trump Administration's plan to allow oil and gas exploration in Atlantic coastal areas has re-ignited a decades-old controversy about the impacts of tools like seismic airguns. This research means opposition may not just come from environmental groups and marine mammal advocates, but the shellfish industry as well. How the guns work: The airguns are towed behind ships and fire a large bubble of air that sends seismic waves through the water and toward the ocean floor. It's possible to tell if there's oil beneath the ground by the way the seismic waves reflect back. The extremely loud blasts are fired several times a minute for numerous consecutive days. What they did: Researchers at the University of Tasmania in Hobart fired seismic airguns at scallop beds in a way designed to emulate their real-world use. They tracked the physiology and mortality of the scallops immediately following the airgun use, and months afterward. The researchers noticed an immediate increase in shellfish mortality, which increased from 9.4% when exposed once to 14.8% when exposed four times. Long-term death rates also increased with the amount of exposure. Past studies have also found a link between seismic exploration and scallop deaths, but this study shows it in a controlled experiment. Others have determined the loud blasts caused by the guns can damage the ears of marine mammals like whales. Another even found that use of the airguns harms zooplankton—the tiny animals that make up the base of many ocean food chains.